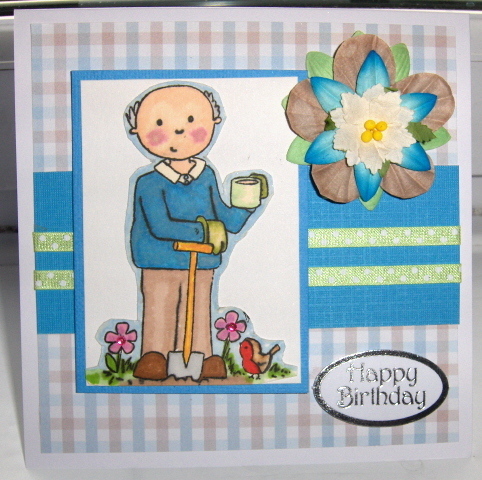 Another fab stamped image from the new Wild Rose - For Men collection. I bought 6 new Wild Rose stamps on Friday (from Bee Crafty in Bidford) and have so far used 3. Am planning to use the other 3 today and will post pictures as I go along. I might even attempt a "twisted easel" card!